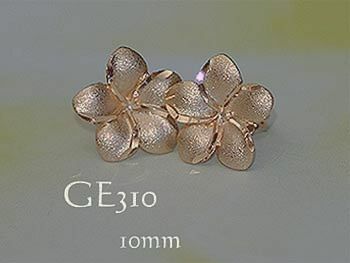 Solid 14 carat rose gold Plumeria (frangipani) stud earrings. Flowers feature a brushed finish and diamond cut petal edges. Post back with spring butterfly clips. 10mm diameter.